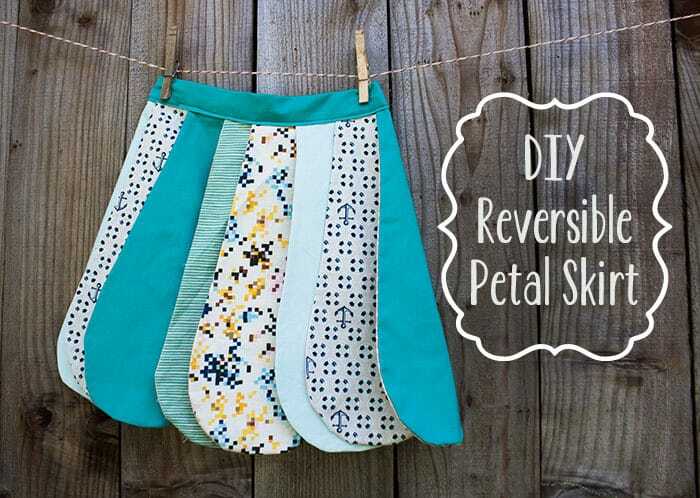 Summer always reminds me of my mom’s blooming rose garden, which is where the inspiration came from for the DIY Reversible Petal Skirt. 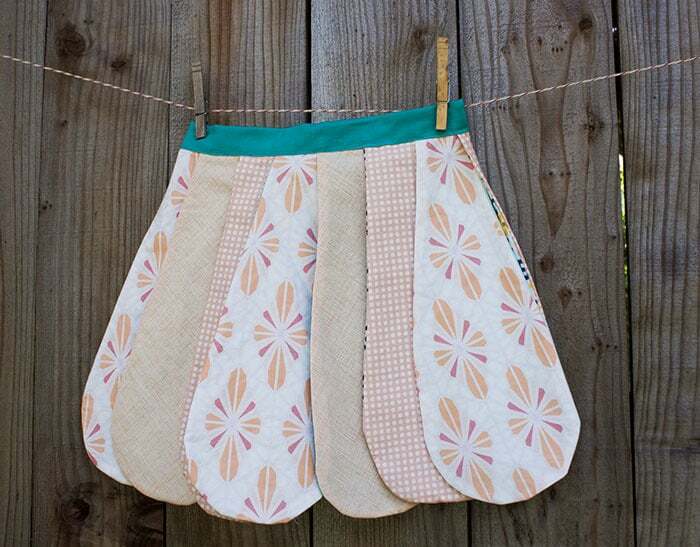 I wanted to make a skirt that was light and airy like a rose, but could keep up with an active little girl. She can easily put this over any outfit, even a bathing suit. 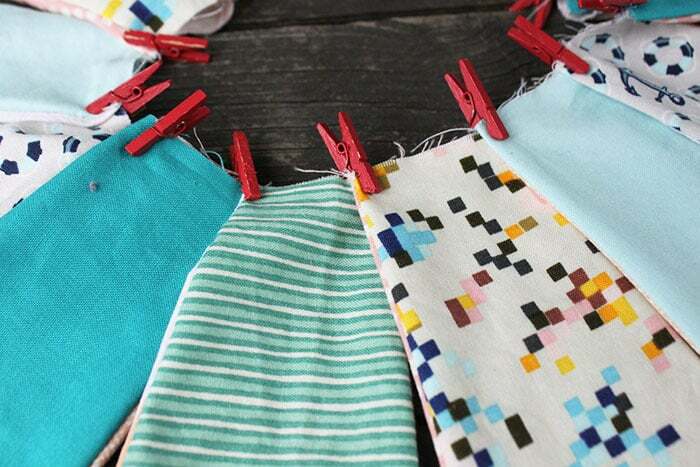 Since it’s reversible, you can have a lot of fun with color schemes. I’d love to try out an ombre skirt next. 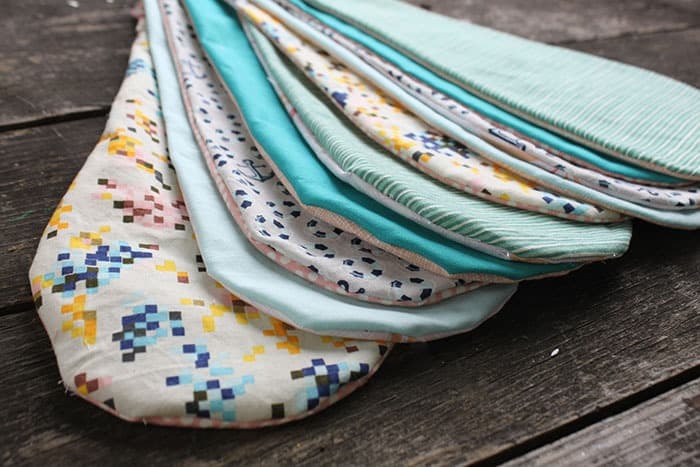 To start off the project, you should either collect your scrap fabrics or pick up some of the prettiest new fabrics from Fabricworm. 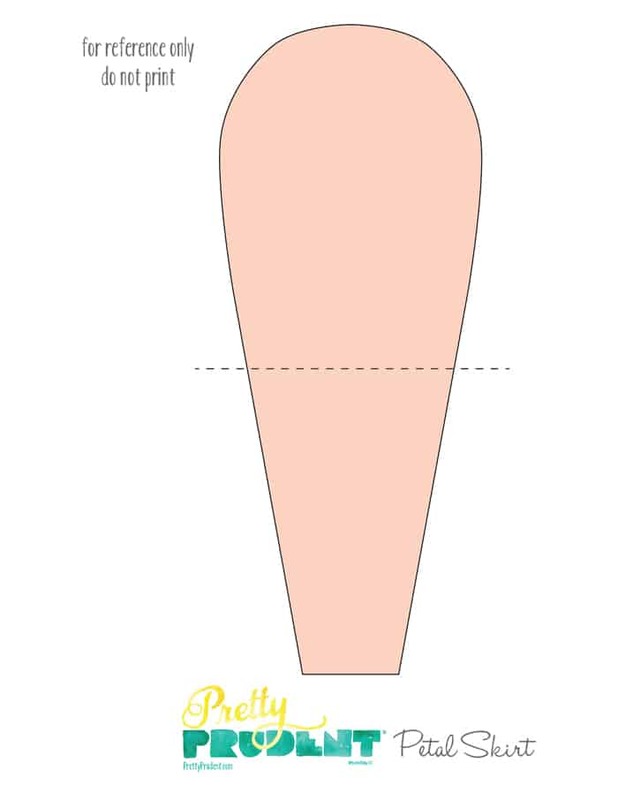 Next, you’ll download the pattern and start sewing the petals together. Ready to get started? First step is to cut out your petals. I cut out twenty pieces total (ten for each side). Lay them out just how you’d like them to be. 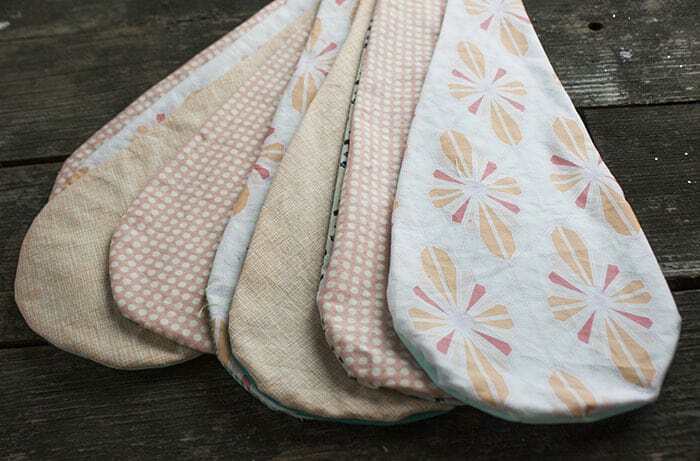 Sew them around inside out, leave the top open. Flip right-side-out. Push out all the sides and iron so they lay flat. Pin them so they are very slightly overlapping at the top. Baste stitch them together at the top. 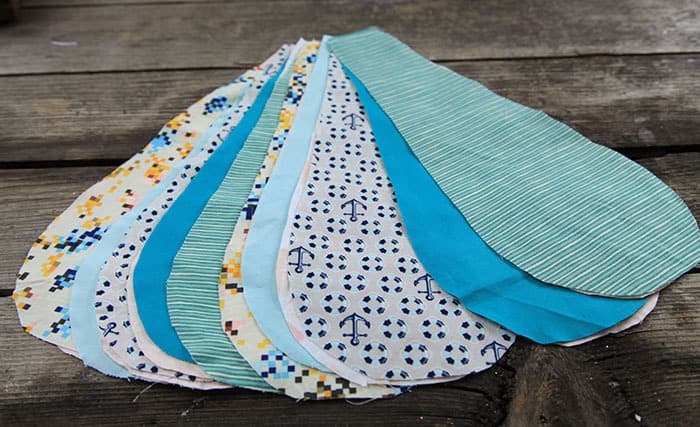 Cut out a piece of fabric about 45 inches long and 4 inches wide. This will be the top of the skirt as well as the tie in the back. 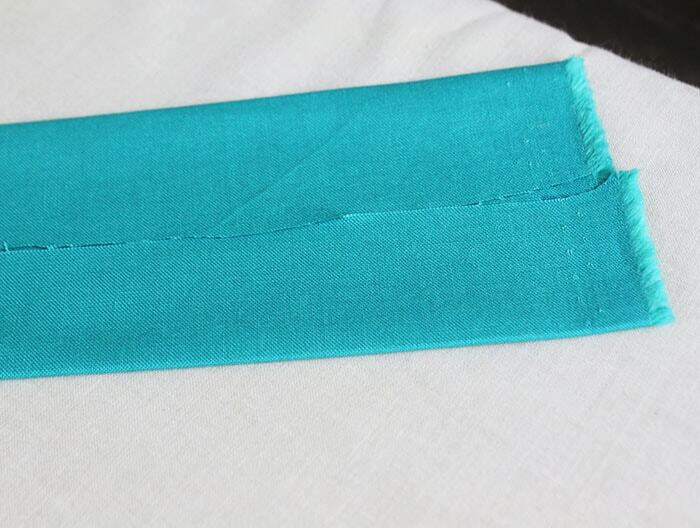 Fold the fabric in an inch on each side so it meets in the middle (as seen in the photo below) and iron down. 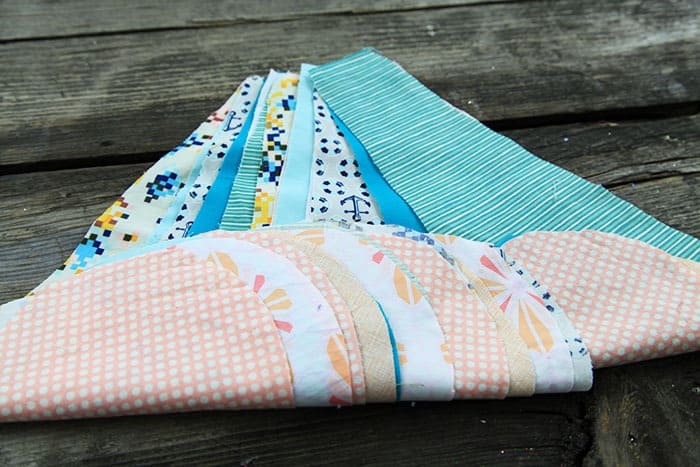 You will be basically making the top of the skirt as if you were making and sewing bias tape. 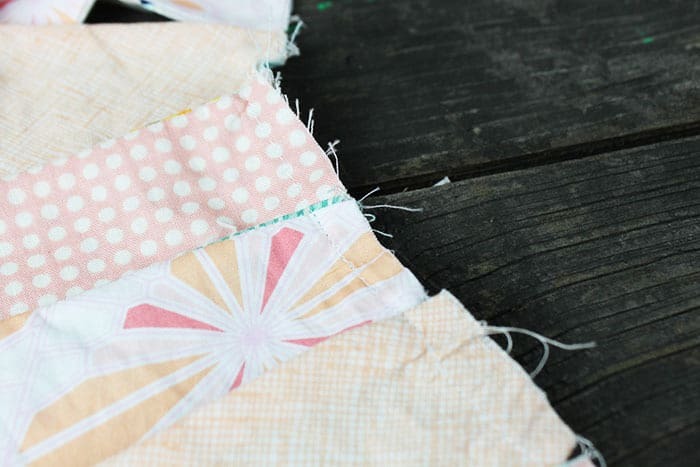 How to Sew with Bias Tape. Fold it over on itself and iron down. Fold in the corners at the end and pin down. 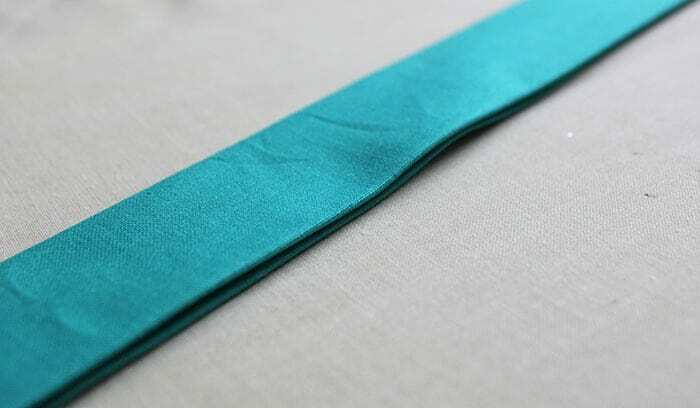 Reopen the fabric you are using for the top and tie (the teal fabric). 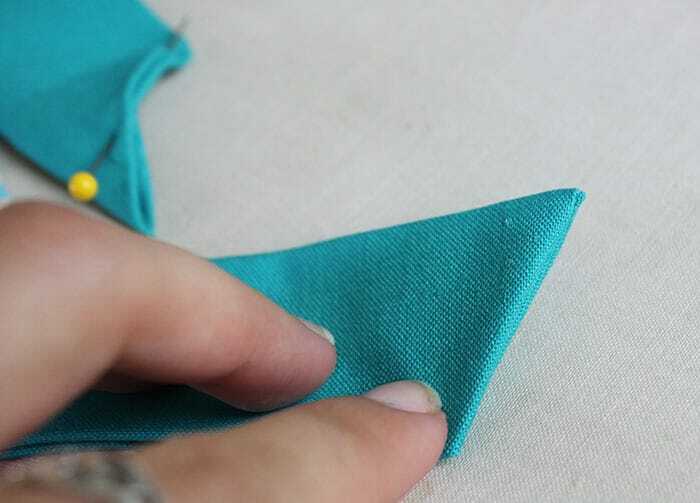 Center the petal skirt against the top fabric so that there is the same amount of excess fabric at each end for the tie. 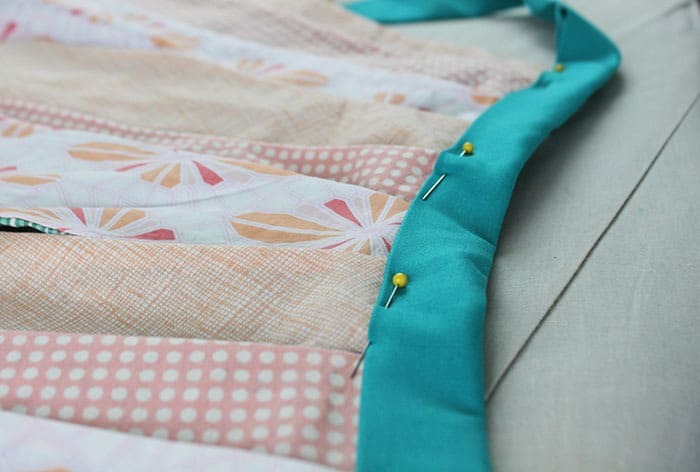 Pin the edge of the top fabric to the top of the skirt and sew. Refold the fabric over the top of the skirt. 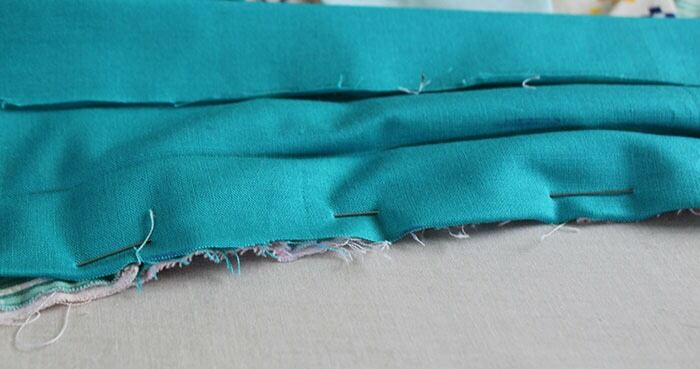 Sew closed all the way to the ends of the ties. OH THIS IS ADORABLE!! I am absolutely in love with this skirt. I must find a “sewer” immediately! I love the fabrics you used! The girls would go nuts over this! Beautiful Colleen. Thanks Jacinda! I’m on a petal roll now and want to make another one already. Oh goodness I cannot wait to get the free time to do this! I was hoping this was a ladies’ pattern. After I make one for my little one, I may have to alter it for an adult version. Maybe put a lining or connect the petals. Super cute idea. daughter-in-law liked skirt and asked if I could make it. 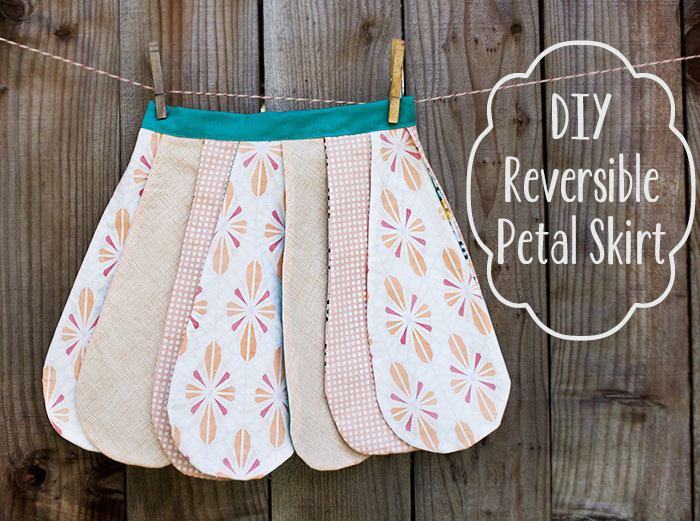 the directions were clear and easy to follow but I never saw an actual pattern for the “petal” to cut out. I am not good at free hand design of a pattern. This is adorable but I wonder how well this stays closed on a child. Won’t the petals separate as she sits down? Wouldn’t you tack each one down to hold in place.